Rubenerd: Mysterious Champs-Élysées song discovered! If you have listened to Rubenerd Show 225 you would have heard how for the last few weeks I had this one French song stuck in my head. Having songs stuck in your head is bad enough, but when it's in a foreign language you can't speak and can't look up in Google it's even worse! Anyway Surrealist on the Rubenerd Forum knew what it was and told me: Aux Champs-Élysées by Joe Dassin! A trip to the CD shop later and I'm playing Aux Champs-Élysées right now as we speak. Joseph Ira Dassin (November 5, 1938 – August 20, 1980) was a French-speaking American expatriate musician. 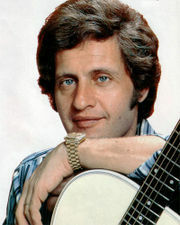 By the early 1970s, Dassin’s songs were on the top of the charts in France and he had become very well known. He was also a talented polyglot, recording songs in German, Spanish, Italian and Greek, as well as French and English. I think I've found a new favourite artist :).